York Garden Centre - No Retail Outlet Bowlands House, Ellerton, York, United Kingdom, YO42 4PN, United Kingdom. 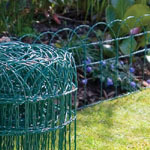 The wicker flower hanging basket range comes with a plastic hanging basket liner. The rattan hanging baskets are complete with metal chain. The willow hanging basket will compliment all window boxes and hayracks. Brackets for hanging baskets are available separately. These plant hanging baskets measure 12" (30cm) diameter. These plant hanging baskets measure 14" (35cm) diameter. 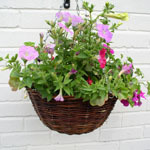 These plant hanging baskets measure 16" (40cm) diameter. 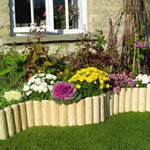 This leaf cone flower hanging basket range comes with a plastic integral hanging basket liner. The leaf cone hanging baskets are complete with metal chain and are made from sturdy construction. The leaf cone hanging basket will compliment all window boxes and hayracks. 14" (35cm) triangular willow hanging basket cone. This wicker hanging flower basket is stunning when planted and is of strong construction. 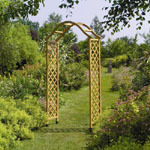 Complete with chain and integral liner and manufactured from top quality materials. Size 14" (35cm), depth 16.5" (42cm). 16" (40cm) triangular willow hanging basket cone. Size 16" (40cm), depth 19.5" (49cm).